Confused about the difference between probiotics and prebiotics and how they work together? Here, we will take a brief look at what probiotics and prebiotics are, break down the differences between these important digestive helpers and learn how increasing the prebiotics in your diet not only improves digestion but also supports immune function, promotes sleep, lowers stress and provides many other benefits. Prebiotics are types of nondigestible fibers and sugars found in certain foods. Because your body can’t break them down completely, these substances pass undigested through the upper parts of the gastrointestinal tract. Once the prebiotic compounds reach the colon, they’re fermented by the bacteria residing in the gut. There, they feed the communities of bacteria that make up the gut’s microbiota. So, what exactly is the difference then between prebiotics and probiotics? The term "probiotics" typically refers to foods and supplements that contain live microorganisms known to be beneficial to gut health. Conversely, "prebiotics" are compounds that serve as food for the microorganisms that live in the gut. The also-related but less well-known "postbiotics" are the byproduct that occurs as a result of gut bacteria fermenting the prebiotic compounds. Individually, each of these components possesses a number of health benefits while also working together to improve digestive health and overall well-being. The human body is a host to trillions of bacteria, the vast majority of which live within our large intestines. Many of these bacteria are critical to bodily functions. 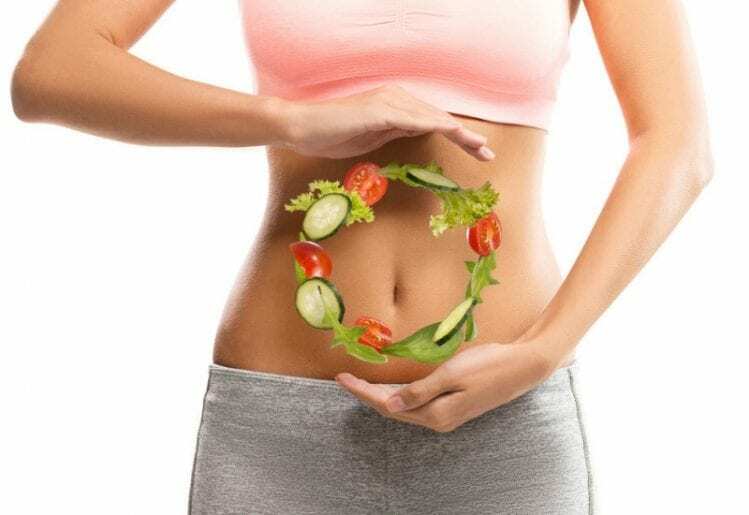 The bacteria in our guts not only aid in the digestion of food and absorption of nutrients but also help to regulate hormone production and neurotransmitter release, with a direct effect on the immune system and the body’s ability to cope with stress. Because our guts are so integral to many bodily functions, the abundance and diversity of the good bacteria in our guts is important to our overall health. Prebiotics act as a food source for these bacterial colonies that reside within our GI tracts. Working together, prebiotics and probiotics have been shown to significantly improve health outcomes. Prebiotics improve digestion and promote a healthy gut. Acting as food for good bacteria, prebiotics encourage the growth of the beneficial microbes residing in our guts. When these otherwise nondigestible fibers are metabolized by friendly gut bacteria, the byproduct is another group of beneficial compounds known as short-chain fatty acids (SCFAs). SCFAs strengthen the intestinal lining, aid digestion, improve the symptoms of inflammatory bowel conditions and may even lower the chances of developing colorectal cancer. Prebiotics reduce your risk for cardiovascular disease. Studies have shown that combining prebiotics and probiotics helps to regulate insulin signaling, lower “bad” cholesterol, balance electrolyte levels and reduce blood pressure, all factors that greatly reduce the risk of developing cardiovascular problems. Prebiotics aid weight loss and the chances of obesity. Numerous studies have indicated that gut dysbiosis can be a contributing factor to weight gain and obesity-related disorders. Increased fiber intake is known to help curb weight gain. Researchers have found that prebiotic fiber regulates the stimulation and suppression of gastrointestinal hormones that control the feelings of hunger and satiation and is associated with a lowered BMI. Prebiotics can help to reduce inflammation. Inflammation is believed to be a contributing factor for chronic conditions such as heart disease, diabetes and even some cancers. Studies have demonstrated that increased intake of prebiotic fiber lowers systemic inflammation. Research indicates that this association may be due to the production of SCFAs that occurs during prebiotic fermentation. Prebiotics improve the body’s immune system response. A healthy gut is key to a strong immune system.Recent findings have shown that adding more prebiotics into your diet elevates SCFA levels and increases the expression of antibodies and antioxiants, important for helping the body to fight off illness and disease. Prebiotics promote healthier, stronger bones. Imbalances to the gut microbiota have been tied to cases of disease and loss of density within bones. According to research, upping intake of prebiotics improves bone strength by increasing calcium absorption and bone density. Prebiotics may improve sleep quality. Every cell in the human body responds to circadian rhythms, and this includes the microbial life within us. Under normal circumstances, subjects with a higher intake of prebiotics tend to spend more time in the restorative sleep phase, except for after stressful events, which observed longer periods of REM sleep, the phase of sleep thought to help recover from stress. This suggests that prebiotics encourage better, more restful sleep and help to ease stress. Prebiotics also alter the release of hormones such as melatonin and serotonin that are known to play a role in or have an effect on sleep and sleep quality. Prebiotics help to regulate moods and hormone levels. As our knowledge of the gut-brain connection grows, it’s becoming more and more clear that many conditions, including mental health issues, are affected by gut health. Not only does our gut flora affect bodily function, but studies suggest that our gut’s microbial makeup may even be responsible for how bodily systems, such as our stress response system, are actually developed. Increased consumption of prebiotics has been shown to improve stress responses, reduce cortisol levels and alleviate feelings of depression and anxiety. Dietary supplements are also available for those unable to fit enough prebiotics into their diet. Look for supplements that combine both prebiotics and probiotics for the greatest impact. Can Probiotics Protect Against Stress?